Every year Education Week provides a top-to-bottom ranking of the nation's school systems on a state-by-state basis. 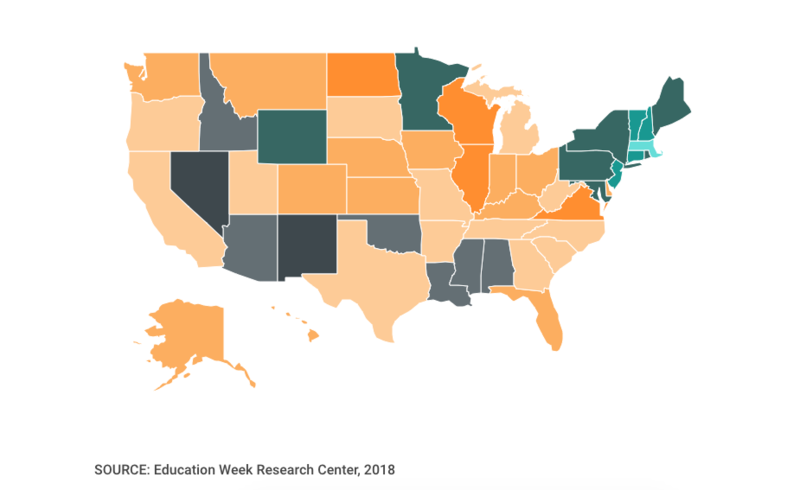 The first of this year’s three Quality Counts report, "Grading the States,” arrives with an interactive map, showing how high-performing states succeeded, how low-performers are approaching improvement, and lessons for boosting the quality of K-12 education overall. Examine the results of this 22nd state-by-state assessment of public education yourself to see how your state fared.